Our friends at Wheel of Time Spoilers reached their milestone 100th episode while attending JordanCon 10. To celebrate this prestigious event, Seth and Patrick sat down with Jason Denzel, Brad Kane, and Wilson Grooms. To listen to Episode 100, click here! This episode, recorded live at JordanCon, delved into many topics. Most importantly being the current status of The Wheel of Time television show. During the Team Jordan panel at JordanCon, Jason asked Harriet McDougal of the show’s fate. For those unable to attend that panel, Jason shares the basics here. Wilson, who has been a big part of The Wheel of Time fandom, including helping Robert Jordan update his blog posts during his treatments, also shares some fond memories. Wilson talks about Jordan’s love for reading, his days in the military, and the process of publishing The Wheel of Time stories. 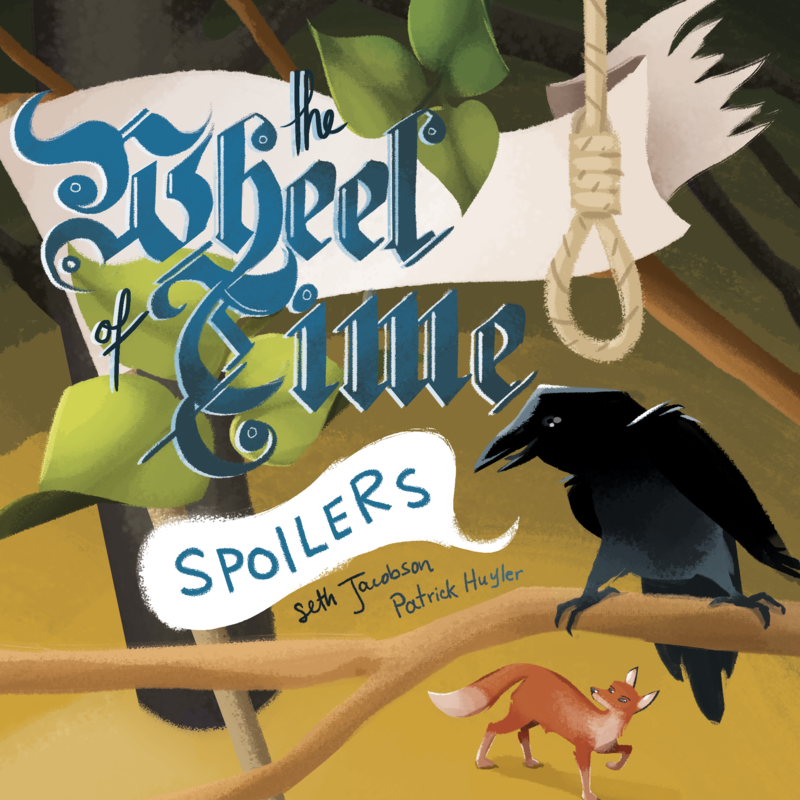 For more from Wheel of Time Spoilers, you can check out their recent interview with Dragonmount, their website, or their new spin-off of sorts, Mistborn Spoilers. This year marked the 10th anniversary of JordanCon. It's truly amazing that the dedication and loyalty of so many Wheel of Time lovers has turned this convention with a modest beginning into a yearly pilgrimage for many fans. The depth of love from all the people involved--from the staff, to the volunteers, to the attendees--is a testament to Robert Jordan and The Wheel of Time series. To celebrate the milestone of ten amazing years, during the opening ceremonies, a video overview was shown. It highlighted Robert Jordan, his fight with amyloidosis, and the following years of JordanCon where his life and his life's work were/are celebrated. After this played for the crowd of con-goers, I can pretty much guarantee there was not a dry eye. You can view the video here. Even without being surrounded by hundreds of other fans, this is still beautifully touching. The song fit the theme of this year's JordanCon, SeanCon: the Return. But the deeper meaning is there. If you've ever had the privilege of attending a Wheel of Time related event, you know that meeting fellow fans is like a homecoming. This year’s JordanCon was epic in proportion, first because it was the tenth year of the convention (according to Jennifer Liang, everyone thought the first JordanCon would be the last JordanCon), and second because this year marks the 20th anniversary of Dragonmount. Arriving Thursday night was like coming home to a group of very good friends. After checking into my hotel room around midnight, I headed down to the lobby and promptly began deep, philosophical discussions about The Wheel of Time series with none other than Paul Bielaczyc—though there was a moment when he got The Wheel of Time mixed up with HG Wells’ The Time Machine…. That, in a nutshell, is JordanCon. Approach any person, say hello, and they’re your friend for life. This year’s lineup of panels and guests was colossal. If I had to list a negative part of the Con experience this year, it was that too many amazing panels happened simultaneously. I had many difficult decisions to make, and I feel many other Con-goers had the same dilemma. This year’s Toastmaster, and Empress—may she live forever—of the Seanchan’s glorious Return was Aubree Pham. The Seanchan theme continued throughout the event, including a game in which members of the Low Blood were required to eliminate members of the High Blood. Even the annual Saturday night dance party was the Homecoming: One Night in Falme. Naturally, the Author Guest of Honor for the year of Dragonmount’s 20th birthday was Jason Denzel. He attended many panels, hosted a Kaffeeklatsch, read a snippet of the next series he plans after the Mystic trilogy is finished, and talked at length with Matt Hatch of Theoryland about the origins of their respective websites—including an incident that happened at JordanCon 1 involving Brandon Sanderson’s newly finished, and unpublished copy of The Gathering Storm, Brandon’s credit card, and a Kinkos. The Artist Guest of Honor was Stephanie Law. Her artwork was spectacularly displayed in the vendor’s hall, and she dazzled attendees with a watercolor demo. The highlight was the “Women in Illustration” panel, with other artists, Ariel Burgess, Melissa Gay, Amanda Makepeace, and Angela Sasser. In another panel, Stephanie, Angela, and Ariel also helped explain Patreon—the ins and outs of the subscription service, and how to determine if it’s a worthwhile investment of your time and energy. For me, personally, one of the best moments was being inducted as an Asha’man into Bill Nesbitt’s Black Tower. I worked very hard on my Asha’man costume to be ready for the pinning ceremony. But even better was the Wheel of Time discussion at the party afterward. For more than an hour, there was a healthy debate over the nature of the Creator and the Dark One, and whether it was possible that Rand was actually the Creator. The next day, I talked to Matt Hatch, and he solved the debate in less than a minute. Though his presence at the party would have solved it quickly, as the Knights Radiant are fond of saying: “Journey before destination.” For the Daes Dae’mar trivia contest, Dragonmount had an official team entry! It consisted of myself, Verbal32, Keyholder21, Songstress, Hallia, Kathleen, and Leelou, plus four other friends we found along the way: Monica, Jeanine, Anna, and Natalie. Through our valiant efforts, we tied for second place. The dreaded Theresa Gray (Terez from Theoryland) determined our answers were subpar, so she awarded the other team, The Salty Wetlanders, second place, and awarded us third. Naturally, the team Gap of Infinity—consisting of Theorylanders—won first place. We’ll have to do a rematch next year. So Dragonmounters, start your re-reads and be prepared! And though Dragonmount’s birthday isn’t until September—Jenn Liang was very definitive of the month—we still celebrated! We had as many people as possible crammed into a suite, and while everyone chatted and indulged in merry-making, we also had a Wheel of Time spelling bee. We were doing okay until we got the word “Ta'maral'ailen.” Jason couldn’t pronounce it. Brandon couldn’t pronounce it. Maria Simons (of Team Jordan fame), wasn’t in the room. But we did have contestants successfully spell Tel’aran’hriod, Tarmon Gai’don, and Asmodean, to name a few (that last one was me). I also had several opportunities to talk with Seth and Patrick from Wheel of Time Spoilers. They even mentioned how they kicked off their newest podcast Mistborn Spoilers. They’re starting at the very beginning of the first trilogy, so make sure to start while it’s new! This was my fifth JordanCon, and it was the best of the bunch so far! The guests were amazingly friendly and accessible. The game hall had activities going nonstop. Every corner of the hotel was filled with people who love The Wheel of Time as much as me. If there’s such a thing as paradise on Earth, it’s JordanCon! You can already order tickets for JordanCon 11: Shai’Con. The Guest of Honor will be Brent Weeks, author of The Night Angel trilogy and the Lightbringer series. 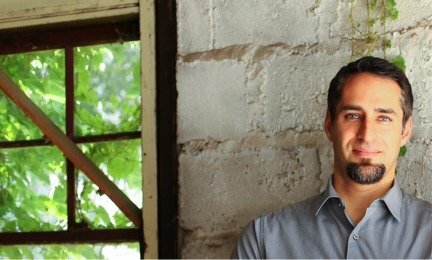 The Artist Guest of Honor will be Dan dos Santos, well known in our circle for his ebook cover of the The Fires of Heaven, as well as the cover of Warbreaker. The Toastmaster will be Paul Bielaczyc—which is self-explanatory since the theme is Shai’Con. If you missed out on the fun this year, don’t make the same mistake for next year! I hope to see you all there! You can see a collection of JordanCon pictures in the Dragonmount Gallery, or browse through the JordanCon Facebook group! @Rufae Actually, just checked and you're still listed as a member! Feel free to post wherever you can! In that case, @Chaelca will be along shortly to get you initiated into the Tinker's ranking system! Hi Sam! Glad to see you here again! When DM upgraded, a lot of things went funky. Let me know if you need your name changed back. I can do that for you! Kathleen--our Mahdi--will be along shortly to get you access to the boards, if you don't still have them. Love to have more writers and crafters around here! Also, what type of degree are you getting? 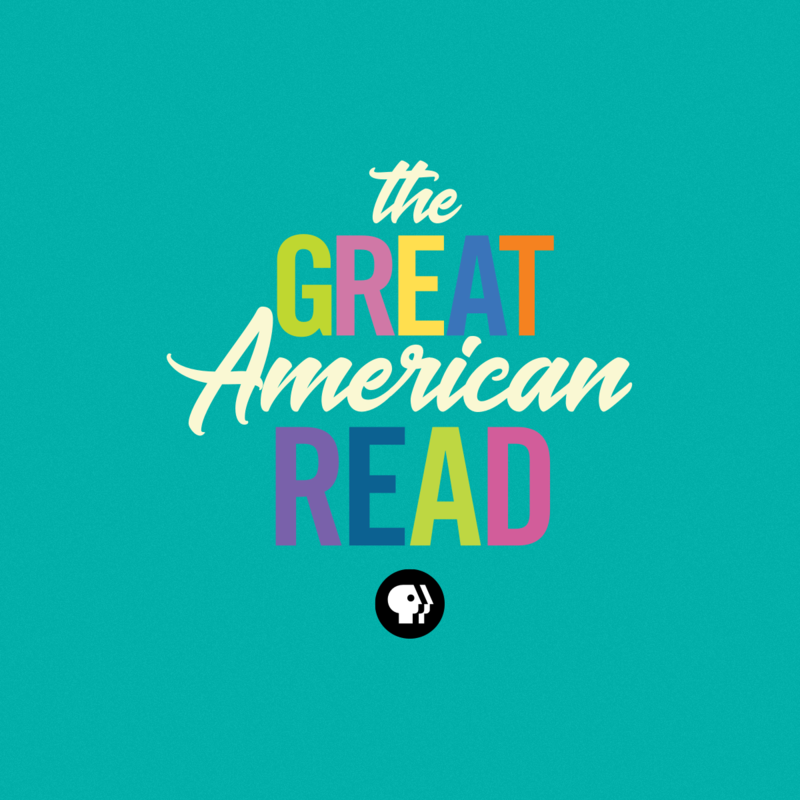 This summer, PBS is hosting an eight-part series dedicated to discovering America's favorite books. A list of 100 books have been selected, and the PBS series will focus on narrowing down these top picks to select one winner. Naturally, The Wheel of Time series is included on this list. The first episode—which premieres May 22nd—will consist of a two-hour introduction, highlighting each of the 100 books, and what they have contributed to American culture. The show will continue with one-hour episodes in a documentary style with authors, celebrities, and book lovers, discussing the nominated books. The finale will air in October and the winner will be announced. Here’s where you come in. The point of the show is to narrow the results, and to do so, PBS is asking Americans to vote! We all know The Wheel of Time fandom is the best in the world, so we’re calling on all of you to let everyone know how amazing our beloved series is. Voting will open on May 22, in conjunction with the two-hour premier, and can be done online and through social media outlets. Follow “The Great American Read” on their website, Facebook, Twitter, or Instagram. And always check back to Dragonmount for updates! It wouldn’t be JordanCon without a new, Wheel of Time related costume. The convention starts tomorrow, so in preparation, I made myself an Asha’man coat. I’ve been wanting one forever—some of you might remember when I posted this picture of what I envisioned a female Asha’man coat to be like. JordanCon 10, plus Dragonmount’s 20-year anniversary, seemed like the best time to make my dream a reality. First, I started with this pattern, selection D. The military style seemed to fit my vision, and I loved that it had a high collar. The pattern is classified as “easy,” but it was the trickiest pattern I’ve sewn to date. My Aes Sedai and sul’dam dresses were much easier. Either way, I followed the directions for the jacket, but I skipped the lining. I used black poplin—an inexpensive and forgiving fabric—for the project, with a few snippets of a white satin for the pockets, and about a yard of interfacing. I probably spent less than $15 on the fabrics. A great deal for such an ambition outfit. The most impressive thing is how much the coat flairs out! It's got a ton of fabric in the sides giving it an extra fluff. I gave myself the time frame of a week to complete this. I finished it in a week. I took my time, allowing breaks when the sewing grew monotonous. In all, I’d estimate the number of hours as fifteen, total. Of course, I still consider myself an apprentice seamstress, so a more skilled worker could probably finish it in much less! A modification I added to this was using Velcro to fasten the front close instead of installing real buttons and button holes. I sewed the buttons to the front flap to give the illusion of actual button holes. This was to prevent puckering of the fabric between the buttons. My button choice was calculated, though I discovered later that there were yin-yang buttons on Etsy. I may change out my buttons at some point in the future. But for now, I selected these. I bought them from SAS Fabrics, a warehouse chain in the Phoenix area. These have an industrial feel to them I really love! For the completed outfit, I paired my jacket with black nylons and black boots. I must say, I love it! To celebrate JordanCon, I also indulged and bought myself the Badali Dedicated/Asha’man pin set! It used up my birthday present for the year, but it’s worth it. (Picture with those forthcoming after my Black Tower pinning ceremony!) Be sure to follow the JordanCon Facebook page to keep up to date with the festivities! I hope I’m on the say hi list! Congrats! He's adorable! I wanna see his baby bean toes! Awesome! I love it! (Especially the "no boobplate or stab-friendly midriffs" part!) I also love the 100 days of ____ idea, Matalina! I'm too swamped to do it currently, but that's something I'd love to pursue in the future! If you decide to do it, please keep us posted! JordanCon is just around the corner! The convention, dedicated to Robert Jordan and The Wheel of Time series, takes place April 20th through the 22nd in Atlanta, Georgia. This year, there are many authors that write across the large spectrum of speculative fiction. But Sargon Donabed started with academic non-fiction focusing on folklore before starting to write his fantasy novels. He also has a PhD in Near and Middle Eastern Civilizations and is currently working on a MS in Anthrozoology/Animal Studies. Q: Thank you for joining me, Sargon! Your rich background in ancient and modern societies is impressive. Does this knowledge give you a jumping off point for building your own fantasy worlds? Thank you for the interview Mashiara. It’s very kind of you to offer me this opportunity for folks to get to know my work. To answer the question, yes. Only recently had I recognized that some of the (mostly minoritized and indigenous) communities I work with/on, are not only marginalized in their own regions, but also in fantasy literature. 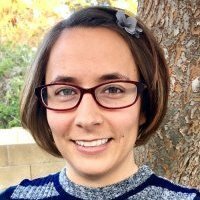 Noticing the palpable hunger for distinct perspectives on fantasy, especially through recent works in the field, has led me to rethink ways in which I could offer my reflections, through the imaginative process, on the struggles, triumphs, and simply the lives of those with less of a voice. Q: What correlations do you see between fantasy tropes and mythology? Do you think there any new ideas or is everything rehashed from old beliefs? That is an interesting question. I suppose I see little or no difference. In a course I recently taught, my students began reading Joseph Campbell’s Hero with a Thousand Faces then moved to Karen Armstrong’s A Short History of Myth. Campbell of course speaks of a holistic approach and refers to the heroic epic as the monomyth, reflective of human desires in all societies. Armstrong on the other hand shows the progression of the ways in which a changing human society described its place in the world, as it also explained the surrounding world. I think new ideas are always formed, but I do think they are necessarily directly created from old ideas. In other words, I do not believe things exist in a vacuum though I do see a holism to existence. Q: You’re currently working on two fantasy series. One, a retelling of Gilgamesh, is intended for a YA audience. Can you tell us your plans for those stories? I think I can. At least I hope so. So, the work is meant to be a traditional trilogy, though I am writing the second book first. Long story. In any case, book one Lineage of the Ancients is a fantasy steeped in Mesopotamian lore and set on a parallel world where the earth is an ecotopian paradise resplendent with ancient creatures and magical beings. It blends historical fantasy and alternate history where Gilgamesh, King of the ancient city of Uruk in Mesopotamia and designer of civilization, died confronting Humbaba, beast of the cedar forest, while Enkidu, his semi-feral companion, survived. Thanks to Enkidu’s ingestion of the elixir of life, which in our version Gilgamesh found and lost, Enkidu and his particularly undomesticated brand of Mesopotamian culture lived on as a prevailing ethos (rather than a cradle of human civilization), governing the Near East and surrounding regions. A place where reverence for the natural world and the ancient deity Shakkan/Sumuqan, lord of the wild and its denizens, stands as patron. Since I started with book two, I suppose I should speak of that first. Scion of the Ancients, shadows a brother and sister, Nem and Sina growing up along the New England coastal forests with their stalwart and respective feline and canine companions, a Bengal cat and kugsha-tamaskan mix, meet a shaggy unkempt and largely feral recluse who claims the children are of an ancient lineage through which they have been gifted with the power to meld – to transform or merge into animal state, able to interact with them and their communities. At least a child of the untamed has such abilities. A child of the hand maintains an innate ability, driven by the creative spark, to fashion objects of power. The children themselves have this primordial magic due to their relation to a prehistoric Mesopotamian lineage which includes an ability to meld, but only if they are able to procure a nasaru, a guardian/protector, who incidentally, have been hunted to extinction since the fall of ancient Assyria! This revelation coincides with the mysterious arrival of Taela, a peculiar young woman who speaks their native language (sort of) as well as seemingly communicate with their animal companions. But what is perhaps most mind boggling for the young siblings is why Taela insists on an audience with the famed King of Uruk, Gilgamesh, an ancient historical figure dead and buried over 4,000 years ago! Q: Your other series is going to be high fantasy. Why types of magic systems will this series include? Well, here is an older elevator pitch. Explaining anything to 8-year olds is taxing – try explaining they might be gods. Ancient races and deities enter human reality in this epic fantasy entitled Of Beasts and Mischief: The Unremembered Book One, at 100,000 words. The novel follows the travails of a teenage girl with an ability to ride souls and a young man problematically preoccupied with a not-so-forgotten myth as they investigate the origins of two furtive children with mystical abilities. If I gave a bit more detail - The story centers on 4 major characters from distinct communities who have each received a summons from a winged messenger working for the confederation of Nirad with the great honor to participate in the Drasha, a contest/reenactment of the ancient rite of passage for initiates of a long dead mythical race. What the participants do not realize is the contest is real and the stakes are not only life and death, but also the very existence of all they hold dear. Their only clue to completing the Drasha unscathed is a book of fables for children entitled, The Unremembered. Q: How do you balance your academic studies, your academic teaching, and your writing? I don’t. Hell, half the time I fall into a new world, half asleep. It’s tough to be honest. I am still learning. But the academic job pays the bills for now. More important is a good balance for family life and play. Tough in the never-ending New England winters, but important none the less. I must say I would love a few years just swimming and enjoying the sun on a beach, surrounded by pristine nature. So, imagining that as a possibility always helps! Yoga, martial arts, soccer, hiking, time with friends and family, enjoying the good of the earth with a sense of reverence; those things are important. Q: You’ve published many academic papers and articles. When did your desire for writing fiction come about? Money. I wanted to make lots of money. Like, sick money. You know the kind that Bieber has…? Legit joke. Beyond that… I suppose I recognized that fantasy literature had more of a profound effect on my writing, even as an academic, than any academic work I had ever written. From the academic side, I recall the impression left on me by Defending Middle-Earth: Tolkien: Myth and Modernity by Patrick Curry. If you have not read it, I suggest you do so. I was enamored by his sense of re-enchanting reality and the natural world against the machine of modernity. I love that. I think the wonder and hope that children inherently have can make us better creatures. Kinder, have more empathy. I think fantasy can teach this in a way other avenues can’t, or don't. Q: Which fantasy authors have had an influence on your writing? Certainly, Robert Jordan. You’d had to have read my first monograph but, I top quoted one of my favorite lines about forging metal. I also thanked him in my intro. Plus, I entitled my first monograph Reforging a Forgotten History: Iraq and the Assyrians in the 20th century. So much Perrin in there. And Rand. And Sanderson I suppose. Shout out to Tolkien of course. Tad Williams world of Osten Ard. Ray Feist’s Magician – Midkemia is a wonderfully rich and, I believe grounding (in an ongoing active sense) is the right term, world with Pug and Tomas. Robin Hobb’s Assassin work, Margaret Weiss and Tracy Hickman’s Dragonlance and Deathgate Cycle work is just splendid and were my entrance into fantasy literature. More recently I fell in love with Erickson and Esselmont’s Malazan works – dear God are they intricate and dense. Grittier than what I hope to offer but their depth is unparalleled in my opinion. For kids works, I adore the Fablehaven series of Brandon Mull, read and reread numerous times, and can’t wait to read it to my daughter. Of course, Riordan’s Percy et al have reinvigorated a classical mythological world for a modern audience and made me think it just might be possible to chat about Mesopotamia and Assyria in a way that would attract an audience. Time shall tell. Q: Why did you decide to pick JordanCon to visit this year? The intimacy of a small venue. By small I speak in comparison to DragonCon or something of the like. Last year I found staff and attendees to be affable in their general attitude and kind as well as generous in their opinions of their passions. Plus, I think it’s vital to honor master storytellers. If nothing else we are a race of beings in need of myths to inspire and comfort us, I think high fantasy at its best leaves room for goodness, and fills us with hope. Q: Can you give us a sneak peek of which panels you’ll be on? Sure. I shall be on the following: Writing in a Sub-Culture, Great Fight Scenes, What should we be reading? Additionally, when I spoke with Thom a while back, I thought it may be fun to talk about how to integrate RJ/WOT into an academic course/setting. From that, there was crafted a Teaching Robert Jordan panel – “Discussing the importance of narrative storytelling, myth, & fantasy to the greater world, and as a gateway to student learning.” I’m stoked about that one. Ordinarily I only get to talk to academics about the course, so I’m thrilled to be inspired by ideas from people immersed in RJ/WOT and fantasy in general. Q: Is there anything else you’d like readers to know about you or your works? Hmmm. I suppose I am most proud of myself (you know the me who loves fantasy and JordanCon etc.) for sneaking in some concepts/quotes into my academic works from some of my favorite fantasy series. I would love more feedback to see if there are others out there interested in my work. I hope that one of the things I can ignite in the hearts (besides acid indigestion) of others is a deeper connection to our non-human animal companions, and the natural world in general. It is necessary that we change our way of interacting with the world around us. Begin to look at others as siblings, companions, fellow subjects in this magical world, this life. Q: Thank you so much for talking with me. I’m looking forward to hearing your expertise on folklore and mythology! Thank you for the interview Mashiara. To find out more about Sargon Donabed you can visit his website. We are almost there! JordanCon, the convention dedicated to Robert Jordan and The Wheel of Time series, takes place April 20th through the 22nd in Atlanta, Georgia. Just two weeks away! Today’s interview is with Paige L. Christie, author of the acclaimed The Legacies of Arnan series. Q: Welcome, Paige! How does your love of other cultures—specifically Middle Eastern and North African—shape The Legacies of Arnan series? This is such a great question! In this series, most of influence from ELTAM (Egypt, Libya, Tunisia, Algeria, Morocco) is subtle – mostly in the dances and music mentioned. However, there is a good deal of influence from a different part of the world in the 2nd novel – specifically Eastern Tibet, where I had the good fortune to be able to visit in the fall of 2016 as part of a women’s pilgrimage tour. Place, and how people relate to it, is a large part of how these influences come through. Q: Draígon Weather, the first novel in the series, begins with Leiel’s mother being sacrificed to the monstrous Draígon. How do you take this classic element and put a fresh spin on it? The basic idea for Draigon Weather began with the question, “What if the woman tied to the rock waiting for the dragon to eat her, wanted to be there?” Why would that be? What would happen? Answering a question that flipped a trope, led to a trope-flipped story. More than that answer will spoil the book. Q: This series is planned to be four books long. Once completed, do you have another project you plan to work on? Yes – I have a couple ideas rattling around. One is a rural urban fantasy, which sounds weird, but I’m a small-town woman and I know rural areas far better than I do cities. I don’t usually write in the ‘real world,’ so this one would be a departure for me, a new challenge. Q: You’ve started each of your novels by participating in NaNoWriMo (National Novel Writing Month). How has this helped or hindered your writing journey? Oh NaNoWriMo! Yes! I have been writing stories since I was 7 years old, but I never thought I really had any stories that people would be interested in reading. So, I just wrote in the closet. Only a couple people in my life even knew it was a passion of mine. Then my friend, Ellen – also a closet writer – found out, and in 2014 she talked me into NaNoWriMo. I had heard about it for years, but I never thought I could do it. But she insisted, and I caved, and I spent most of that November sleepless and in a daze, between fulltime work in retail and writing like I never had before. But come November 30th, I had 50 thousand words of something that I thought had a lot of potential. Ellen and I made a pact -- and we both kept writing and finished our first drafts. Then the real work began: editing and re-writing and repeat until the work is not crap any more. I am SO grateful to NaNoWriMo for the charts and community and tools that it gave me to encourage me to write every day, no matter how I was feeling. It taught me how to write no matter my mood, or how tired I was, or whether or not I thought what I was typing was crap. It taught me how to finish a long work. Ever since, I use it for a jumping off point to get a draft started. I have found I work best with deadlines and charts to keep me accountable, and NaNoWriMo is great for that. I am old enough to know that nothing I produce straight out of the event is worth a damn without a lot of follow up work, but I love the challenge. Plus NaNoWriMo is fun to say. Q: For your writing habits, you say you never write in linear order. How can you keep track of what you’ve already written and what is still left in your brain? I love this question! Honestly, my brain is a pretty wacky, non-linear place. According to every ‘personality test’ I have ever taken, my personality and the way I process information is shared by about 1% of the world population. I really can’t have a direct thought for trying. Everything I do on my life, as my mother would say, “I go around Robin Hood’s Barn” to get to. So, I’ll be working on a scene and have an idea of how that connects to something I already wrote – go back to that scene and type a note – or an idea for a new scene – open a folder and make a note – then back to what I am working on and keep writing. Often, I’ll just change font size in the middle of writing a scene and leave notes to myself in the middle of what I am working on. Then I keep going once the new thought clears itself. It’s messy and convoluted and it works beautifully for my brain. And truly, discovering Scrivener software was the greatest thing to ever happen to my writing. I can have all my scene written in whatever order works for me, color coded, keyworded, cross noted, and move them anywhere in the book on the fly, so the order I write them doesn’t matter at all. I also use Aeon Timeline to keep my events and character ages organized, and that helps keep the story making sense. Q: What is your biggest struggle with being an author? Or more specifically, what part of the writing process do you find requires the most effort? Starting. Just putting the first sentence of any new scene on the page is the most difficult thing for me. Even when I know what needs to happen, finding those first few words, the corner to peel back to access what needs to go into the scene – that’s what I struggle most with. The thing that makes so many writers crazy, namely editing the raw draft, is my favorite thing. It’s also why I love to do in-depth beta reads for my writing partners. Q: Writing is just one of the many jobs you currently have. Do you wish you could write full time? More than anything! I’ve been working-poor, with multiple jobs, for my whole life. I would love to write novels and stories and edit for a living. It’s the big dream, and I believe my books will get me there eventually. I don’t want to be a one-hit-wonder. I want my books to find their audience and endure. That’s a slower path, but I think it can unfold if I keep producing quality work. 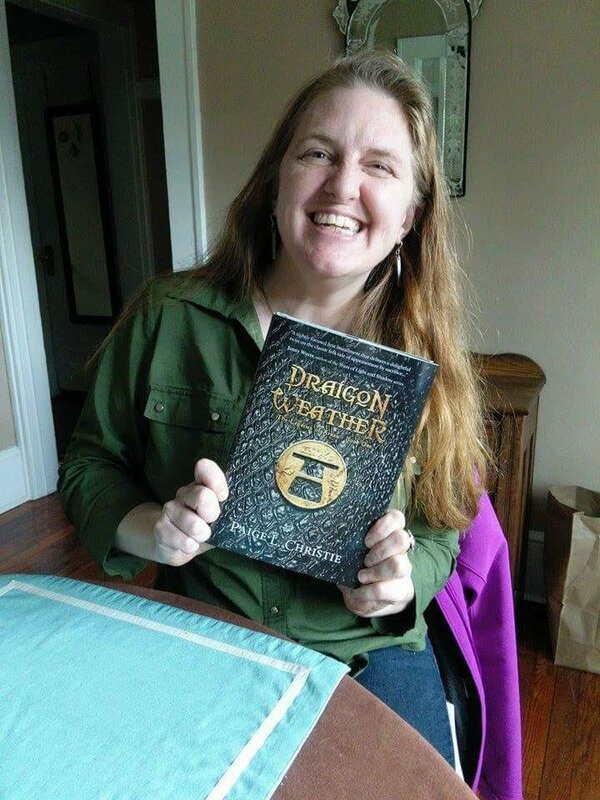 Having great writing partners, and a fabulous/dedicated editor/publisher is a huge part of that. I am extremely lucky! Q: This is your first JordanCon. What drew you to this convention? I’ve attended DragonCon (and other cons in the region) for a couple decades as just a happy participant. I’ve wanted to get to JordanCon for years, but life never worked out to allow me the time. Then I met Richard Fife at DragonCon in 2017, and the more he talked about JordanCon, the more I knew I couldn’t put it off any longer. I love classic fantasy and sci-fi writing and the idea of being at convention where that was deeply appreciated was extremely appealing. I’m so excited! Q: Can you give us a sneak peek of what panels you’ll be on? I’ll be on 3 panels and doing a reading this year! I have lots of great thoughts about for all of them, and I can’t wait to meet my fellow panelists and share with the audience. Friday April 20th * 2:30pm - Writing in a Sub-Culture: Be it sea-faring, military, or nihlist punk-rock bands, it can be difficult writing in a sub-culture. Come get tips! (Conference Center) * 4:00pm - Author Reading (Dogwood) Saturday April 21st * 10:00am - Myth and Monsters: The bump in the night is just the beginning! How mixing magic, mythology, monsters, and scenery create more than just a Friday night fright! (Maplewood A) Sunday April 22nd * 2:30pm - What SHOULD we be reading? : Come listen to some book suggestions from our Staff and Guests! (Maplewood A) Q: Is there anything else you’d like readers to know about you or your works? I’m an opinionated, cat loving, scotch-drinking, over-educated, belly dancer, Yankee redneck lover of chocolates who writes books my publisher classifies as “High Fantasy Meets High Noon.” If any of that sounds interesting, come meet me and check out my books! Q: Thank you so much for talking with me! I’m anxiously awaiting JordanCon, and the chance to meet you in person! 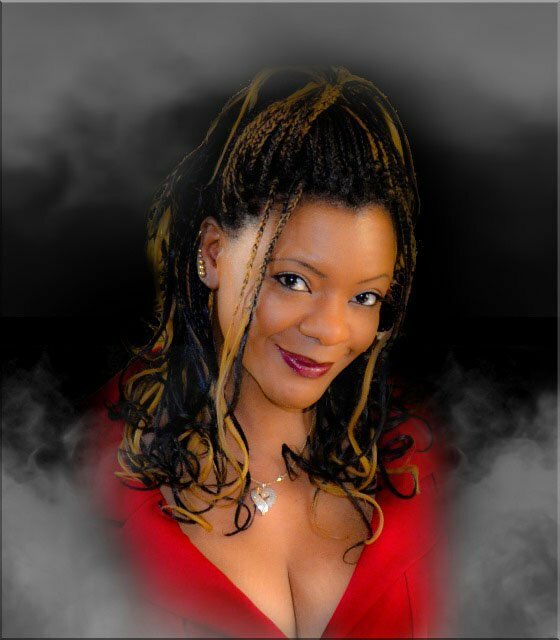 To find out more about Paige L. Christie, you can visit her website, or check out her Facebook or Twitter accounts.